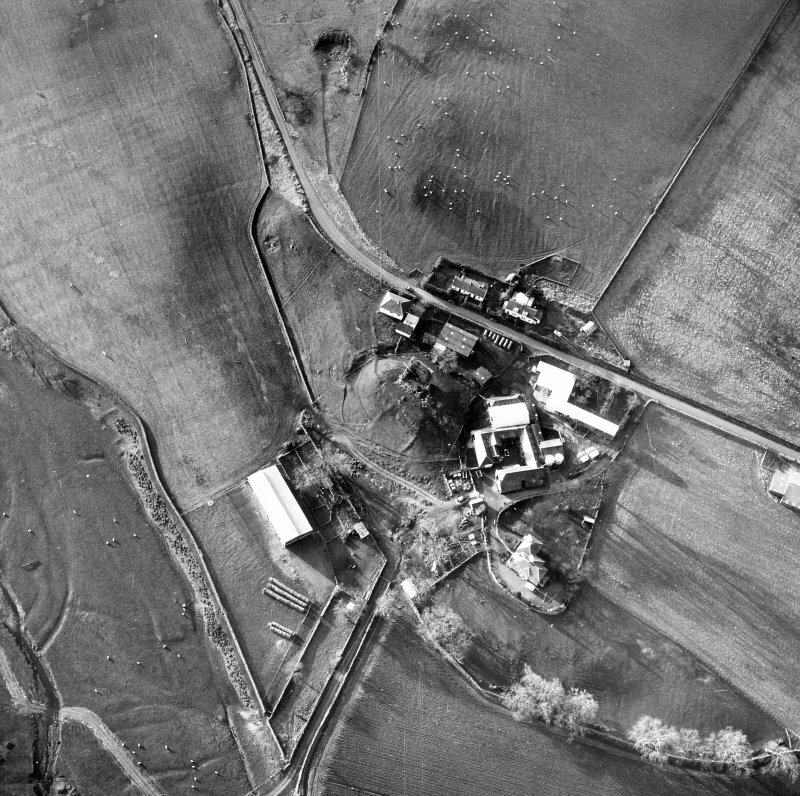 Oblique aerial view centred on tower house from N.
Oblique aerial view of Castlehill Tower, taken from the SE. 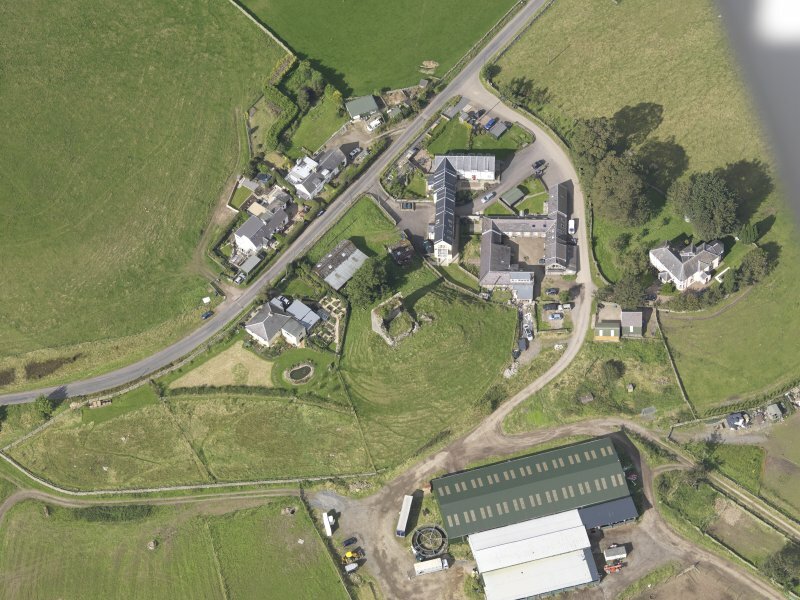 Oblique aerial view of Castlehill Tower, taken from the SSE. 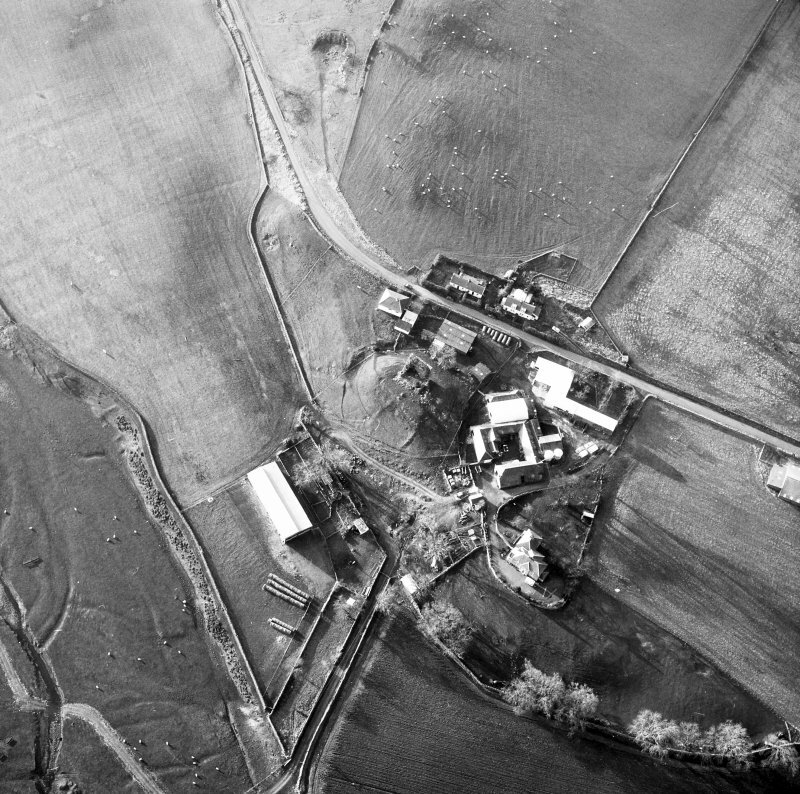 Oblique aerial view centred on tower from W.
Oblique aerial view of Castlehill Tower, taken from the E.
General view from NE. Plate cracked. 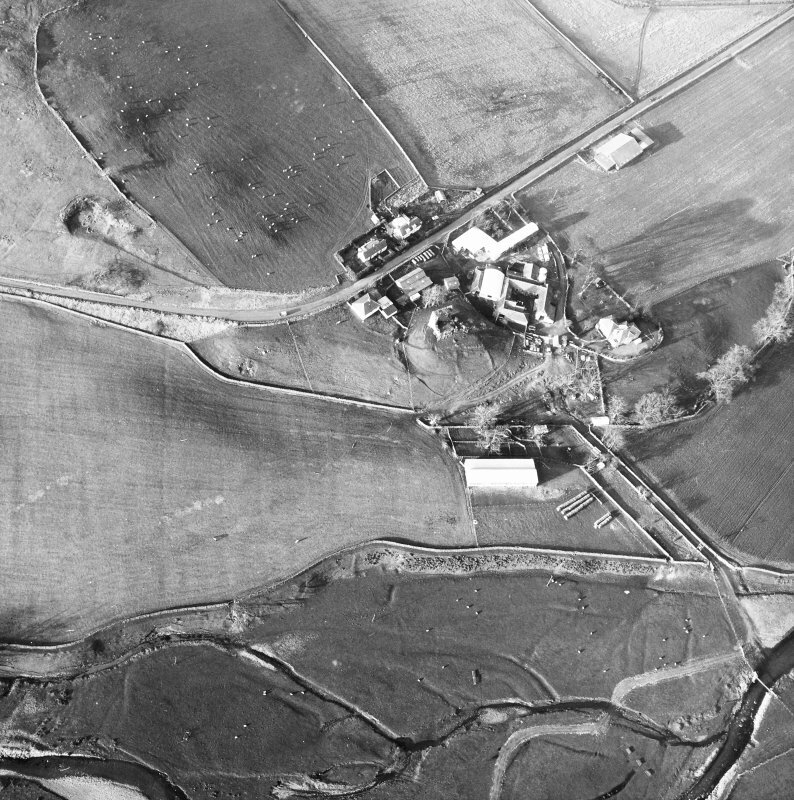 Oblique aerial view centred on tower house from NE. 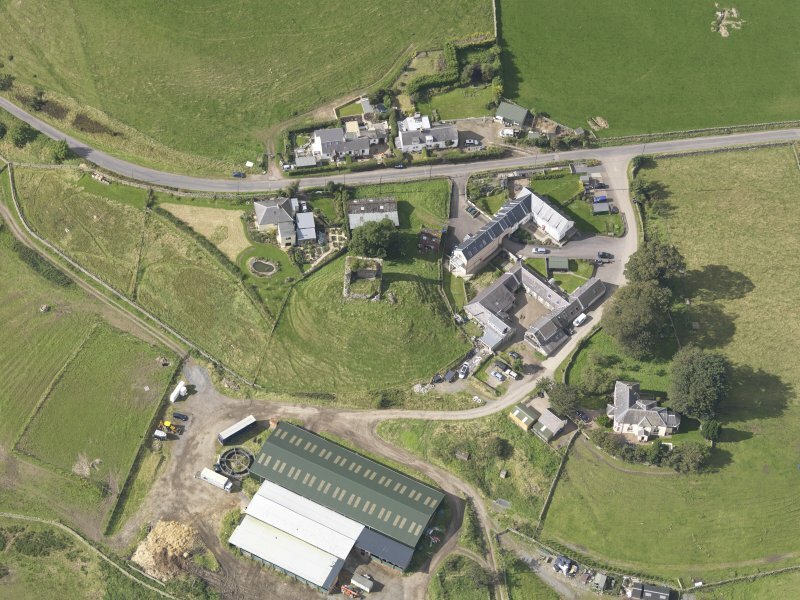 Oblique aerial view of Castlehill Tower, taken from the NW. Oblique aerial view of Castlehill Tower, taken from the SW.
Scanned image of general view of remains from NW. 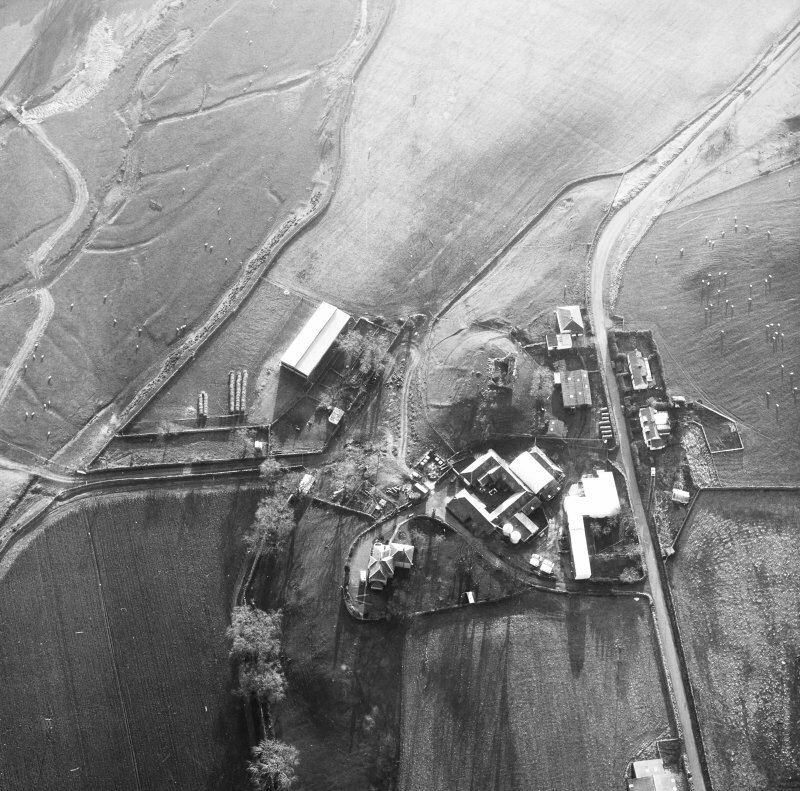 Scanned image of oblique aerial view centred on tower from W.
Scanned image of interior. First floor. On the W bank of the Manor Water a rocky knoll bearing the remains of the tower of Castlehill commands the ford of an old road leading to Hundleshope. The flat summit is oval in shape and measures about 73' from N to S by 53' transversely. On the NE side an approach has been cut through the outcropping rock; the track running down the S face of the mound appears to be a later feature. To the S, W and NW there is a ditch, now having an average width of 11' at the bottom; a bank on the counterscarp may have continued along the N side, where there is now a road, and also along the E side, where the ground falls steeply. The sides of the knoll appear to have been scarped. The tower stands on the W edge of the knoll, the re- maining area of the summit apparently having been en- closed by a stone wall of which some traces survive on the N and E sides. The tower, which probably dates from the end of the 15th century, measures 37' 8" from N to S by 29' 9" transversely, and now stands to a maximum height of two storeys. The W side of the tower is the best preserved part, the E and N sides being reduced to the level of the first floor, about 8' above the threshold of the entrance. A large section of fallen masonry lies on the ground near the NE corner of the tower. 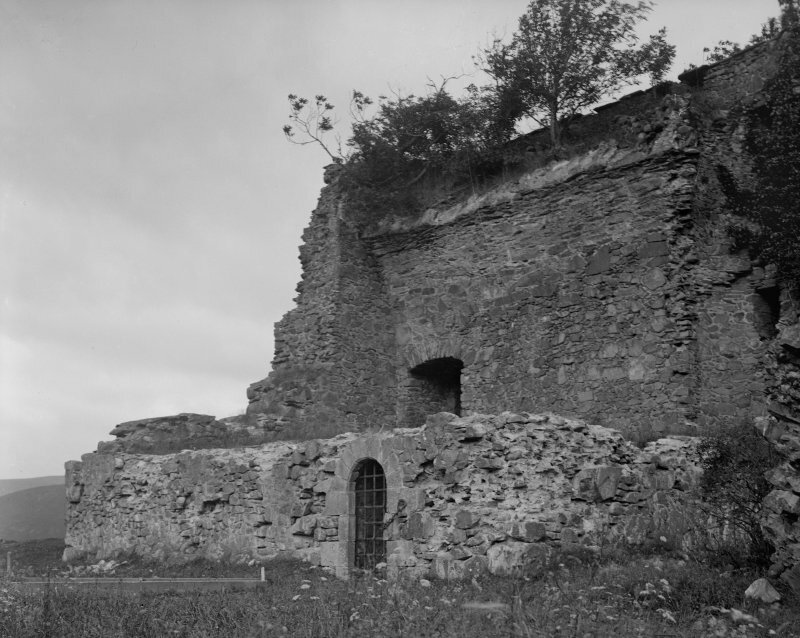 The entrance to the tower is at ground-floor level in the E wall and has a round-arched head, which has recently fallen; latterly the doorway was fitted with the modern iron yett and now lies nearby. At the N end of the W wall the vent of a latrine-chute discharges at ground level. 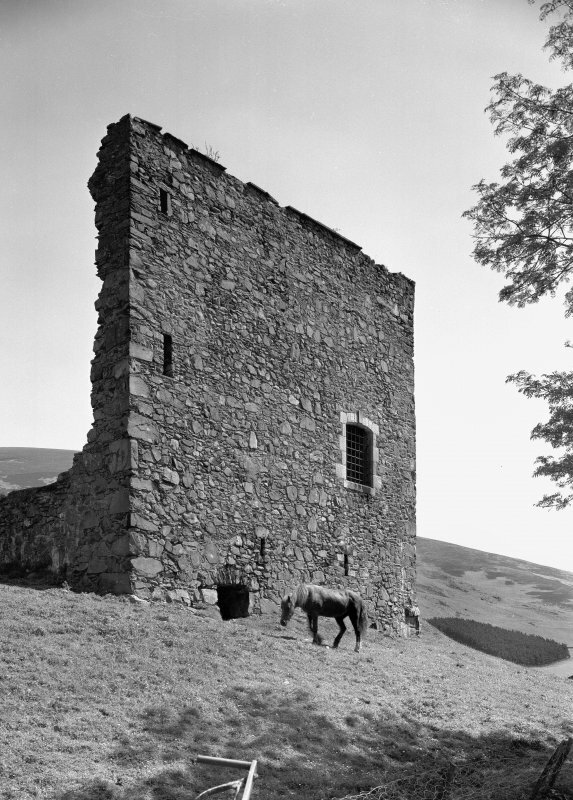 The chute incorporates two separate shafts formerly serving garderobes above first- floor level, a fact which suggests that the tower originally rose to a height of at least four storeys. 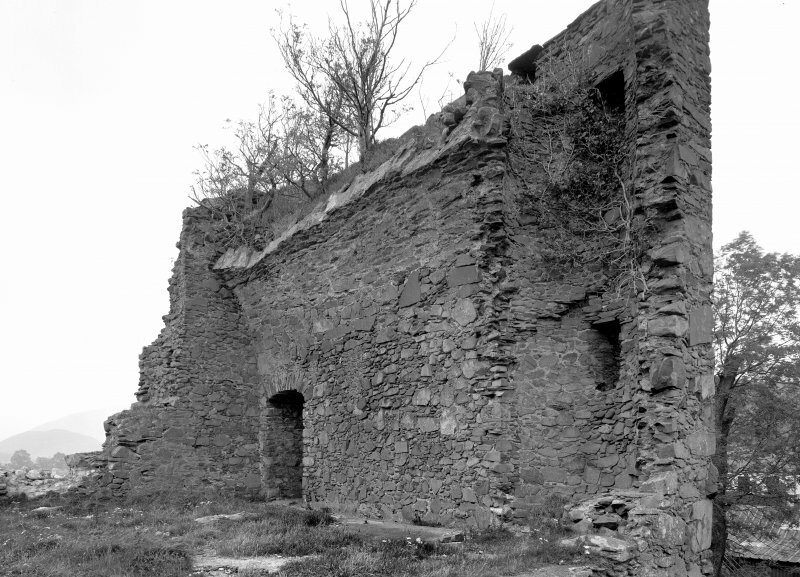 The masonry in all parts of the tower shows evidence of consolidation, probably as a result of the steps that were taken to preserve the building shortly before 1889. 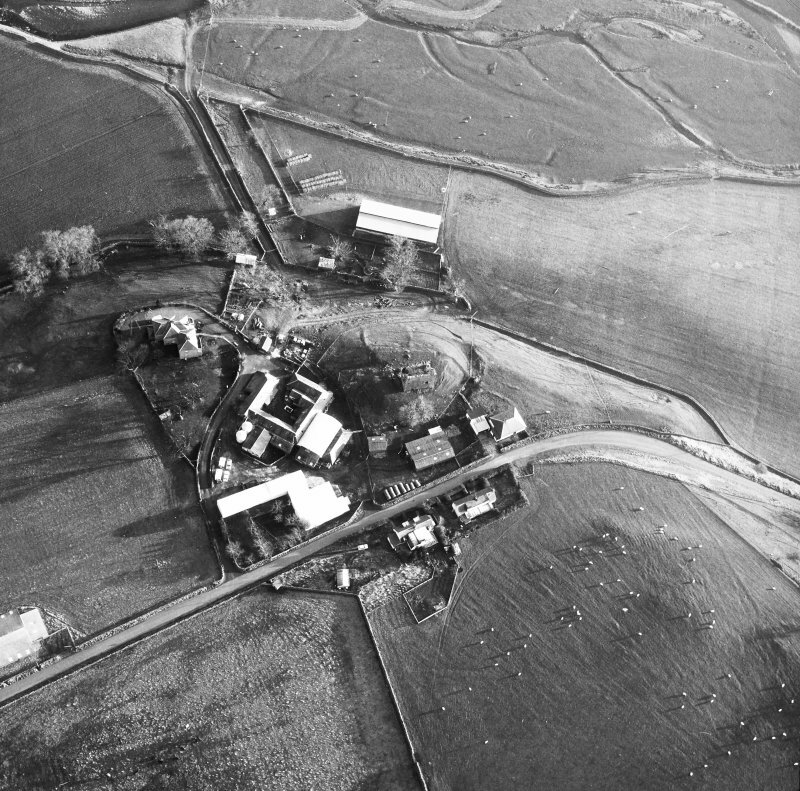 The lands of Castlehill, together with certain other properties in the Manor valley, appear to have been acquired by the family of Lowis of Manor early in the 15th century. The tower itself is on record in 1555. 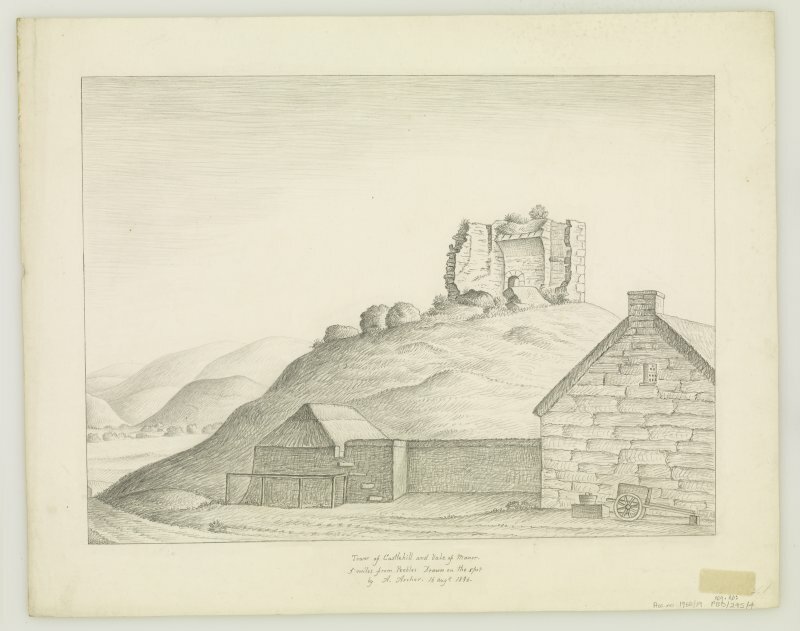 In 1637 John Lowis sold the lands of Castlehill to Alexander Veitch in Nether Horsburgh from whom they passed to George Baillie of Jerviswood in 1672. 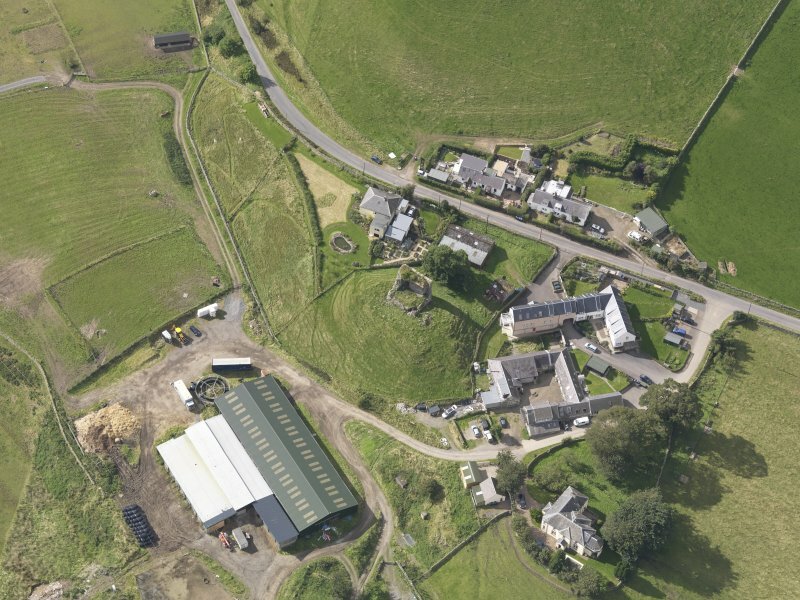 Castlehill was disponed in 1703 to William, first Earl of March, from whom it was purchased by James Burnet of Barns in 1729; In 1838 the property passed to Thomas Tweedie of Quarter. 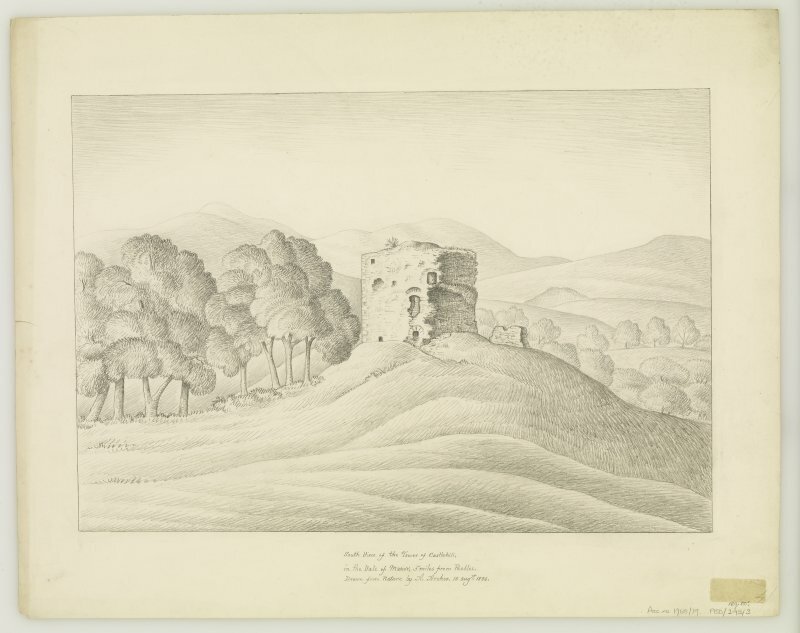 Two views of the tower by Alexander Archer, drawn in 1836, show its condition at that time. 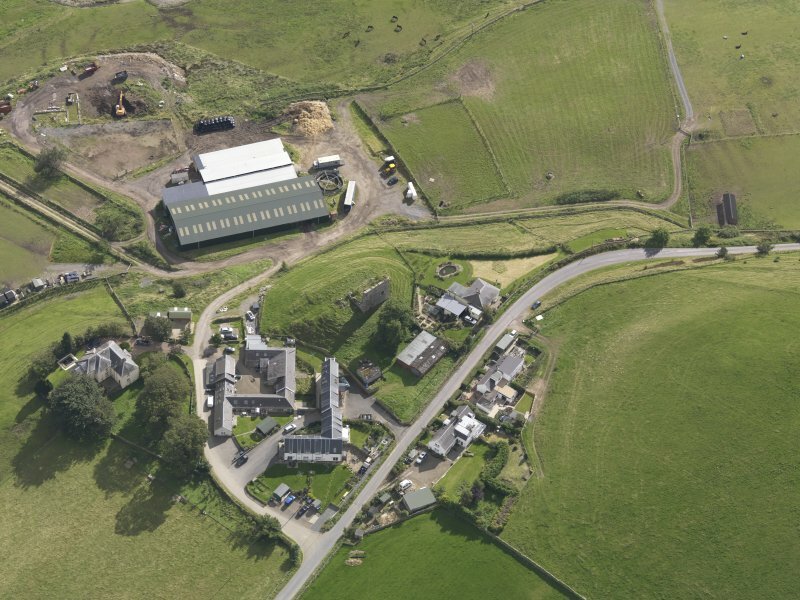 Castlehill Tower is as described and planned by RCAHM. 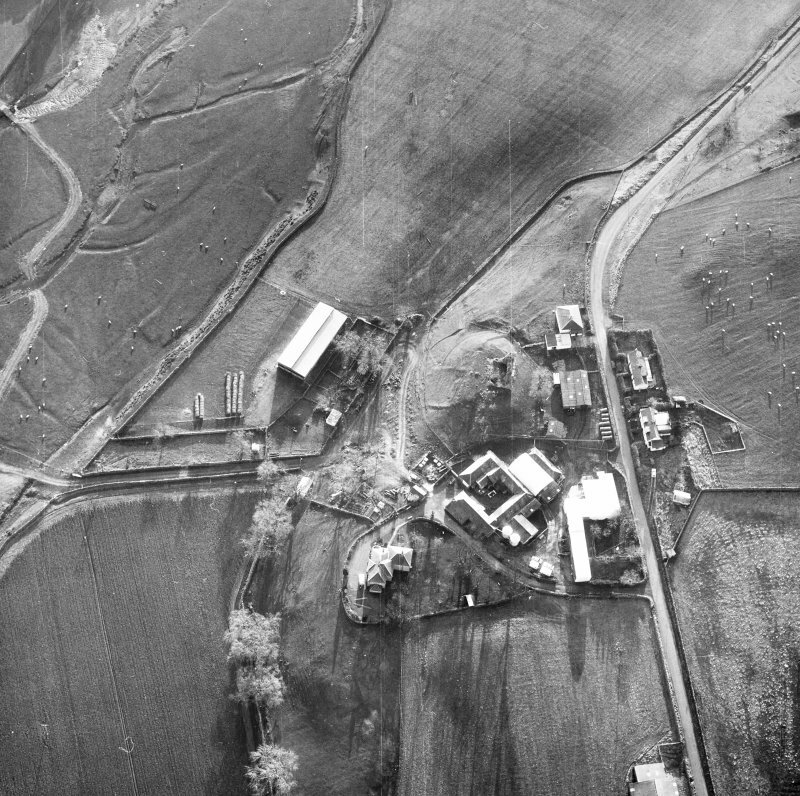 Visited by OS (RD) 23 June 1971. 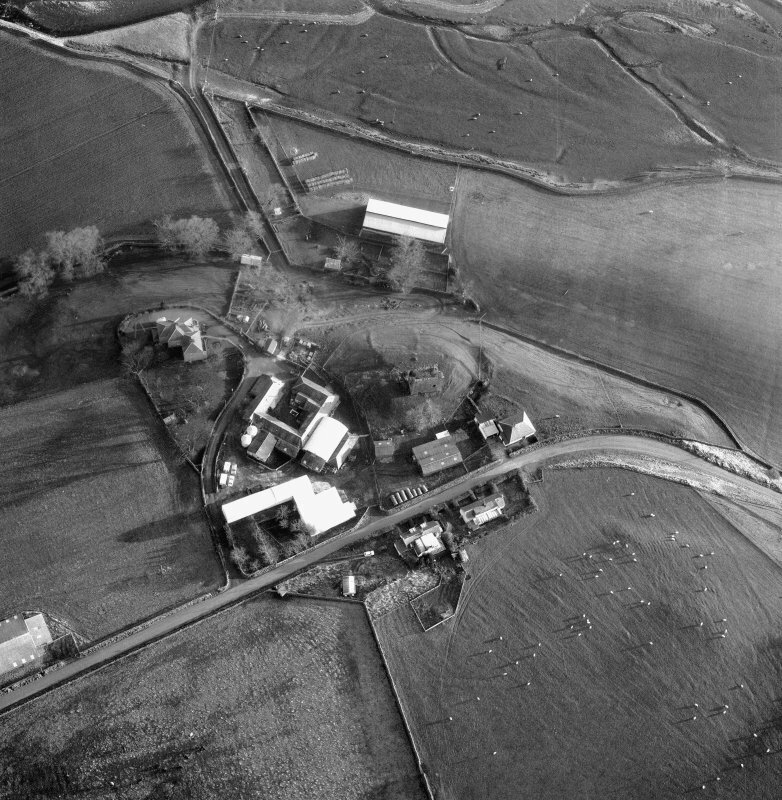 Possibly one of two vills of Manor and Caverhill described in a Royal Charter of Robert (1315). 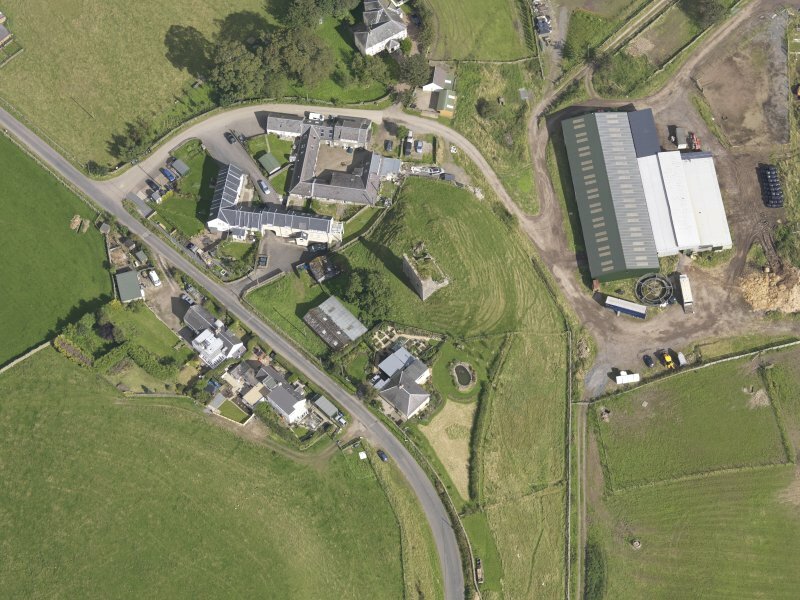 The farm to the north of Castlehill is called Manortoun, and to the south-west is the farm of Hallmanor. 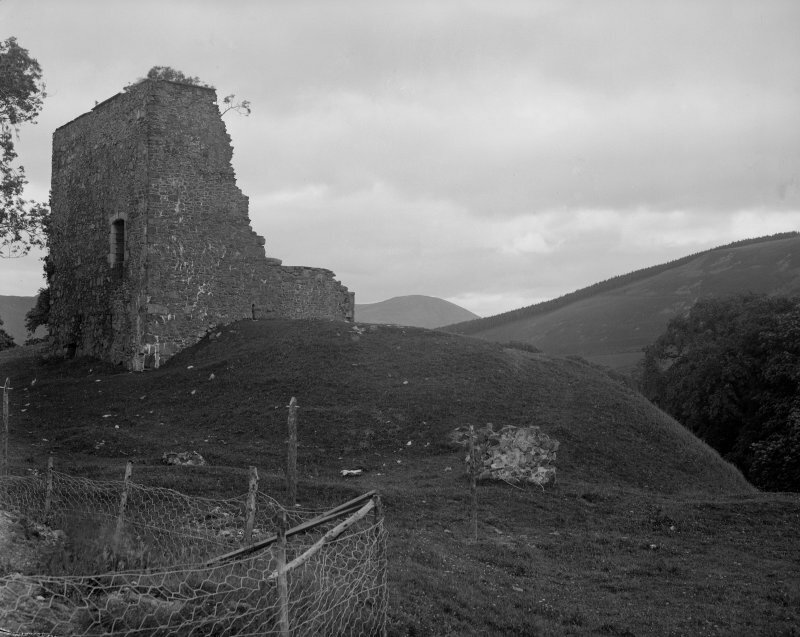 Both may refer to an orignal place-name for Castlehill being 'Manor', with Manortoun being a castleton. The hill has been landscaped in antiquity and exhibits the form and size of a motte. 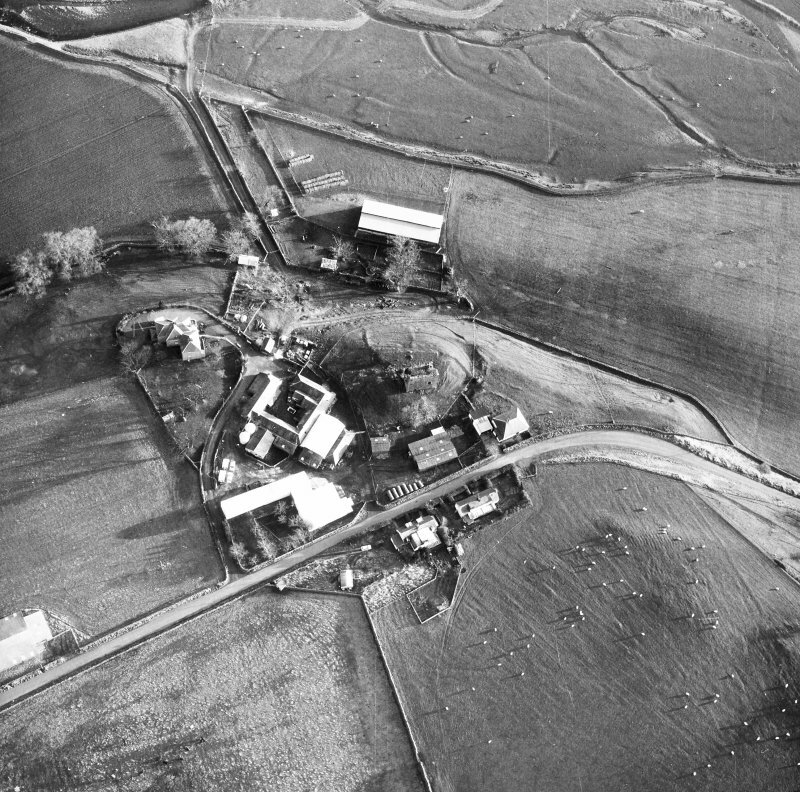 A partly filled ditch around the base may be an associated feature with an earlier phase of settlement to the later tower.